Don’t let your fantasy season end! 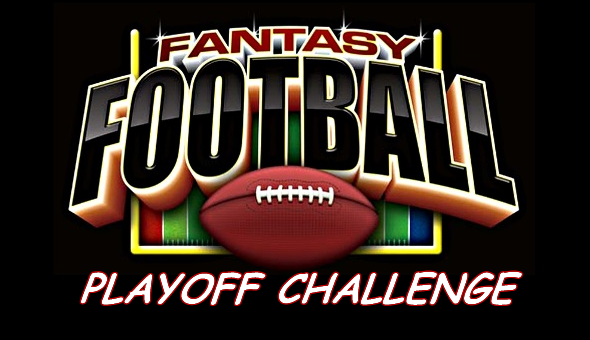 Sign up now to play in our Playoff Fantasy Challenge. Pick any player you’d like during the pro football playoffs to field your weekly team of 10 players. Once you use a player though you cannot use them again. Tally points each week through the final game. The five teams with those most points in the contest wins. Time to sign up has now ended. Each week you choose 1 QB, 2 RB, 3 WR, 1 TE, 1 FLEX (RB/WR/TE), 1 PK, 1 DEF/ST for total of 10 players. Check out the COMPLETE RULES by visiting the league page. *Void where prohibited by law. Must be 18 years or older and U.S. citizen to play.